Phase 1 of a growing Land Assembly in the Joyce-Collingwood area. Just blocks away from skytrain and amenities such as schools, parks, financial services, restaurants, grocery stores and much more. Land is scarce in Vancouver and here is an investors dream to lock up prime real estate that already has all the infrastructure in place. This is for outdoor patio, bbq and garden lovers with a sprawling exclusive 181 sqft outdoor patio on the garden landscaped level. Located in the most sought after new waterfront community - Olympic Village just seconds to downtown, skytrain, Canada Line, UBC bus, Urban Fare groceries, London Drug, Terra Breads, Craft & Tap & Barrel restaurants, miles of seawall & seaside parks. MASTER PIECE! ONE OF KIND, EXCEPTIONAL LUXURY MANSION IN MOST PRESTIGIOUS SOUTH GRANVILLE LOCAT. Over 5,400 sq.ft. built by renowned Builder & designed by finest interior decor. provide feeling of living in the PALACE. Sit on beautiful landscaped lot 64.65 x 128 (8,277sq.ft.). This home offers full atten. to details in craftsmanship/supreme quality finishing. Land assembly in the prestigious South Granville area. 18,506/38 sq. ft. together with the neighbor lot. Great potential for development. All the measurements are approx. Buyer or Buyer agent to verify if deemed important. Located on a quiet cul-de-sac on a south side 66'x122' lot. 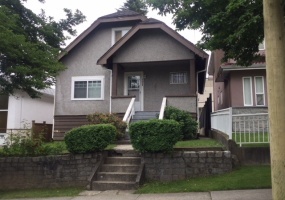 Extremely well kept West Vancouver custom Craftsman style family home! 3 levels 4,164 sq.ft. home featuring 4 bedrooms o the upper level. Inviting open concept on the main floor with vaulted ceiling, hardwood floors, granite counter tops and custom millwork. NO STRATA FEES. A brand new Side by Side Duplex built by professional builder at fantastic location of Victoria area. 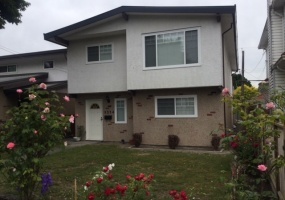 Only couple blocks away from Nanaimo Skytrain station, minutes walk to Park, Kingsway and shopping. AMAZING OPPORTUNITY!!! Large one bedroom apt. in pet friendly Dunbar House, this south facing ground level condo has a private entrance off the patio, new engineered floors, 9 ft. ceiling, gas fireplace, in suite laundry and storage plus a roof top deck with mountain, city and water views and bike locker. Beautiful 3 level townhome with gorgeous views of Howe Sound. Ocean and mountain views from all main rooms with large balconies. 2 large bedrooms on separate levels for extra privacy, large Family Room that can be used as a 3rd Bedroom, large Rec Room, full size Wine Fridge, Radiant floors in Master Bath, & Gas Range.